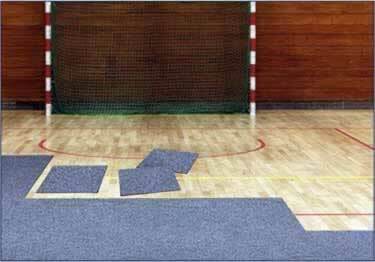 Obtain excellent protection on valuable flooring with Andersen''s Floor Safe Tiles. Simple and safe to work with, each 1 x 1 meter tile is placed next to each other to build out the area that is being protected for a quick installation. The mass of the installation holds each tile in place. Available storage cart is 40" x 40" and holds up to 80 tiles. Tiles can be stacked on the cart for easy storage. Anti-static, weighs 31 oz./sq. mtr. We want to lay on the roof of the outdoor temporary garden restaurant on the ground, resistance, temperature, odour, water/oil cleaning way) on rainy days the arrival of the economical air freight (door to door paid zero, all costs to supplier to pay) the goods time?